Today, perhaps more than ever before, India’s Transportation & Mobility (T&M) sector is under constant pressure to innovate and optimize costs. On one hand, suppliers are looking at widespread electrification, propelled by regulatory changes and a general rise in environmental awareness. This is changing demand patterns for specific vehicle component clusters – some suppliers face shrinking volumes, while others have to cope with a sudden demand surge. On the other hand, there is a new generation of customers who seek differentiated in-vehicle experiences (necessitating state-of-the-art parts) at a competitive price point. Electric vehicles (EV) are calling for new capabilities – Over the last few years, next-gen vehicle technology has disrupted traditional T&M supplier models, calling for a rethink in terms of design, manufacturing, engineering, and partnerships. Research suggests that the global EV market is witnessing a steady uptick, even as the Indian government encourages the use of green transport alternatives in a bid to improve environmental footprints. In order to keep up with this trend, suppliers must realign infrastructure to meet EV range, weight, and lifetime parameters. Suppliers must address Quality, Regulations & Cost mandates – Cost and quality constraints have always been a concern, and in today’s regulatory climate, the fallout for non-compliance is extremely severe. A virtualized environment is needed where component designs are first tested against quality and safety standards, before commencing production. Suppliers must also look at new ways of development and delivery, built on seamless multi-disciplinary collaboration across design, engineering, and production cycles. This will also help to create a centralized governance structure, harmonizing different sites and keeping costs at an optimum. Customer experiences have to be reimagined – Vehicle environments are no longer simply utility-based. As the Indian consumer’s demands around infotainment, comfort, safety, and connectivity rise, suppliers and OEMs must diversify their product/service portfolios. Using virtual simulations, for example, suppliers can conceptualize and pre-validate new products without heavy upfront spends. Technology will also help collate consumer data and ensure market fitment for new concepts – this will be essential in mitigating low adoption rates and inadequate returns, especially in a market where 54% of customers are choosing experience over price. There is a shift from mass production to mass customization – Mass customization is a key trend for manufacturers, where highly tailored products are delivered on scale. This is near-impossible using conventional methods, necessitating a steep transformation curve. Yet 90% of Indian auto suppliers spend just 1% of budgets on R&D, according to a report by AT Kearney – clearly, organizational attitudes towards innovation need to change. Fred THOMAS, Global Manufacturing Director for DELMIA at Dassault Systèmes, explains this further: “The first thing that must change is the idea that enterprise-wide mass customization capabilities, driven by digital continuity, can be achieved through low budget technology purchases at a department or plant level.” In other words, suppliers should consider a strategic pivot and invest in smart technology, in order to be able to mass-customize components for global reach. This is even more important, considering that too few Indian suppliers are currently doing business globally – the report found that for 64% of Indian auto suppliers, exports comprise less than 10% of revenues. Needless to say, this is a dynamic landscape for T&M suppliers. While these challenges threaten outmoded approaches to manufacturing and distribution, on the other side there are significant gains and long-term success. AT Kearney predicts that auto component sales in India will increase fourfold by 2020. Suppliers who meaningfully leverage the power of technology, establishing digital continuity across various stages in the value chain, will stand to gain a competitive edge. Dassault Systèmes helps T&M suppliers navigate this terrain, with a suite of offerings based on our 3DEXPERIENCE platform for digital continuity in manufacturing. 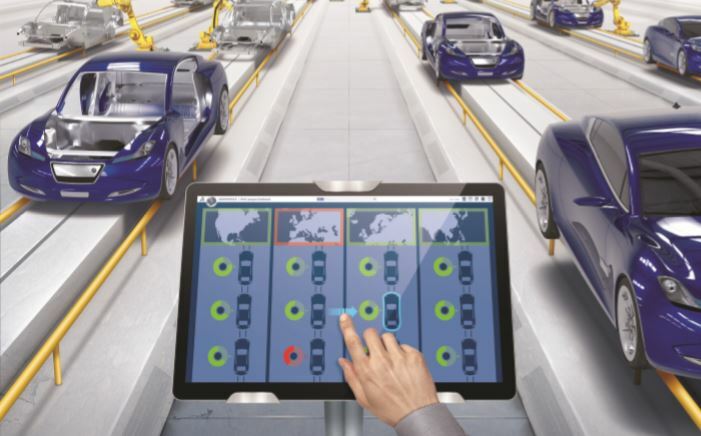 Offerings such as Bid to Win and Lean Production Run are geared to ease transformation for T&M suppliers, while solutions under the DELMIA portfolio helps to connect virtual to real-world assets. Lean Production Run addresses cost and quality concerns via continuity at enterprise, plant, and line levels – it also bolsters compliance by boosting product quality. The solution’s synchronization capabilities aid in achieving mass customization goals by helping to better manage distributed operations, with improved visibility at both plant and global levels. Similarly, Bid to Win is designed to help suppliers adapt to evolving customer expectations, identify new opportunities and streamline production once business is won. Suppliers can view a single source of truth across multiple sites, adapting each system to customer/location-specific parameters – this is a core necessity for mass customization-ready manufacturing environments. 3CON, a leader in manufacturing equipment for the automotive industry, used Bid to Win for addressing challenges around cost, quality, and customization. 3CON wanted to maintain stringent quality standards while shortening lead times, ensuring products were aligned to customer requirements. Bid to Win helped evaluate customer needs, leading to an exceptionally high user acceptance rate. Design time was reduced by 30% and 3CON successfully achieved end-to-end cost control by preempting design changes. Customers such as 3CON exemplify Dassault Systèmes’ commitment to leveraging technology for positive manufacturing outcomes. Our DELMIA portfolio is focused on helping to holistically transform global operations, managing quality, cost, compliance, customization, experience, and innovation benchmarks across a supplier’s extended value network. This is only a glimpse of the possibilities; using the advanced capabilities of Dassault Systèmes’ 3DEXPERIENCE platform, Indian suppliers would be able to unlock new efficiencies to succeed in this climate of challenge and change. The country’s T&M sector is at a critical juncture – India’s auto component CAGR has gone from 1.3% to 11.7% in just one year, reports ACMA. As Guillaume VENDROUX, CEO, DELMIA puts it “Manufacturing is no longer simply the production of goods and services. In today’s Experience Economy, value comes from how a customer uses a product, not the product itself.” That’s why it is vital that T&M suppliers utilize cutting-edge technology as a key enabler, pushing new capabilities and better engaging with customers at a critical juncture in. This will not only help overcome obstacles on the path to progress, but anticipate future needs and thrive in a bold, disruptive world of Transportation & Mobility.